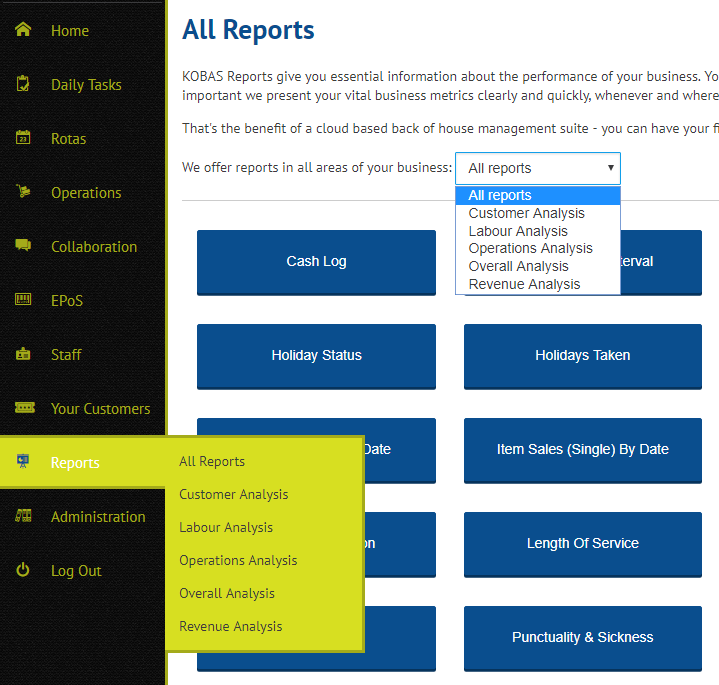 This makes it easier to find relevant reports by focusing your view on your business area of interest, either by honing straight in from the navigation, or from the filter drop down on the main reports page. Using these controls will not only restrict a user’s access to any sensitive data, it will also clean up their view of report options, optimising their workflow. Any users who previously had access to the reports section will automatically have been granted access to all 16 new areas, but these restriction controls are available for immediate use. These report permissions are the first step of access control to sensitive data. There’s detailed information as to which permissions grant access to which reports at the end of this help guide. Without a particular permission a user will not be able to access that group of reports. Furthermore, individual reports may also require other permissions to unlock full functionality. 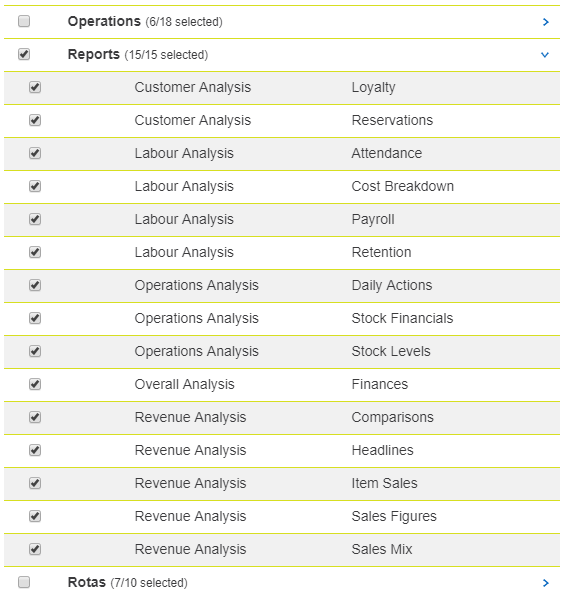 For instance, in order to see the Daily Sales By Order report, a user not only needs the Revenue Analysis -> Sales Figures permission, but will also need permission to view the Cash Log for the venue they are requesting. A user with permission to view all Cash Logs would, in tandem with the Sales Figures permission, be able to view the Daily Sales By Order report for any venue, whereas a user with permission to only see their Home Venue’s Cash Log, may only view the order sales for their home venue.